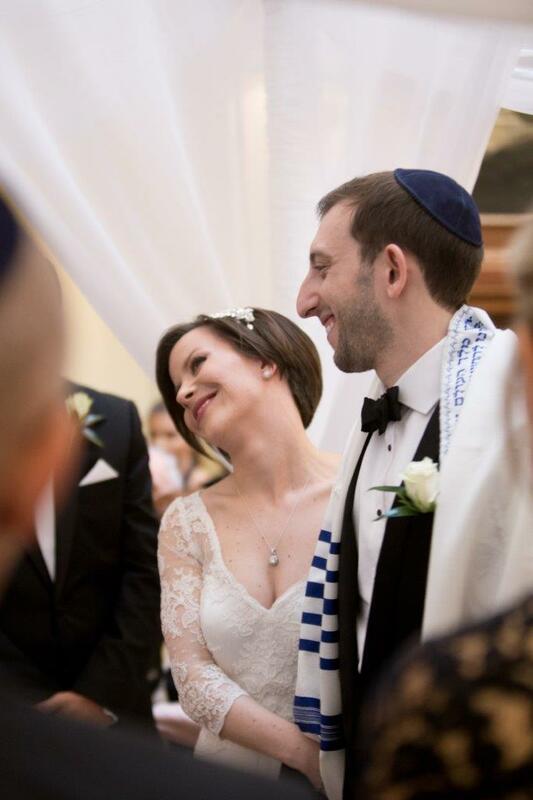 Emily and Dan seamlessly blended traditional elements of their Jewish heritage with an incredible flashmob and party atmosphere at Hedsor. 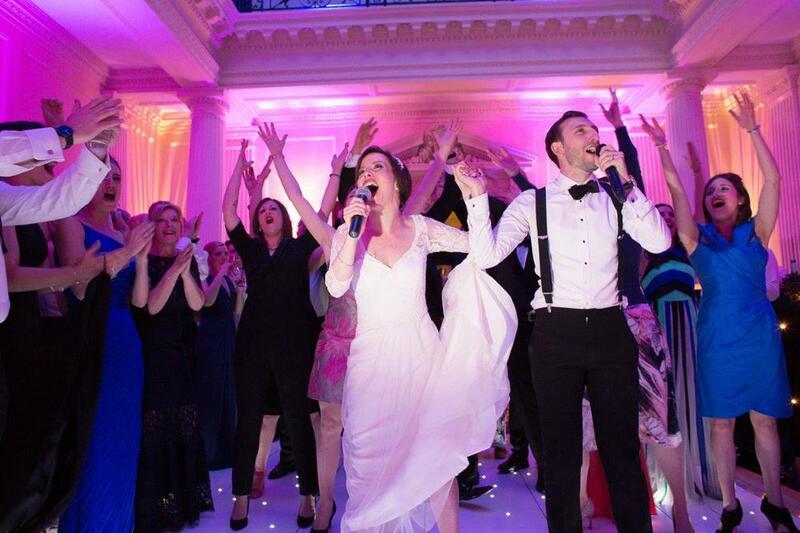 Their day was characterised by a number of surprises, mostly revolving around music which is a passion of theirs - in fact they met when they were in a musical at university and Emily now runs a choir that Dan is a member of. 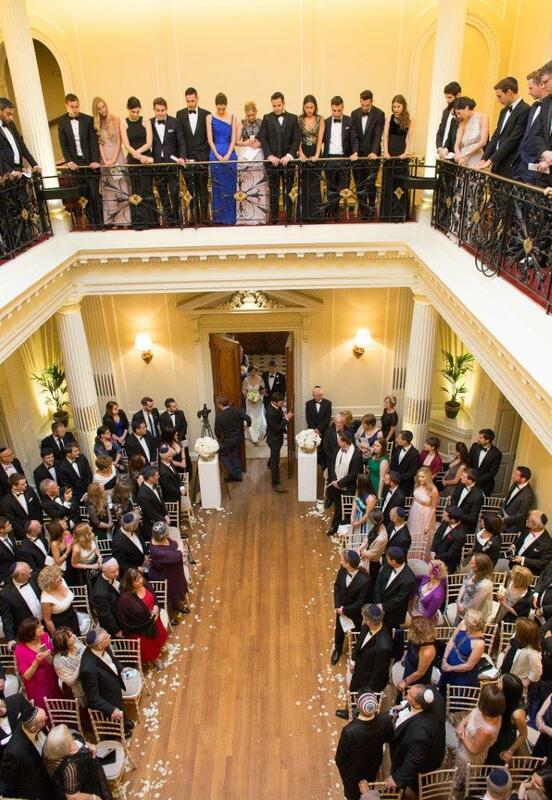 "We fell in love with Hedsor House the moment we saw it. 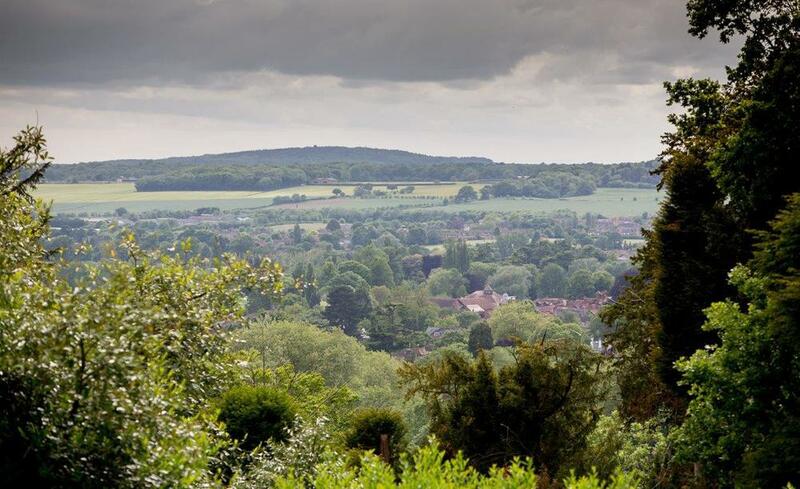 With stunning views, plenty of space and timeless beauty, we loved that we could have a little piece of the countryside all to ourselves and still be within close reach of London. 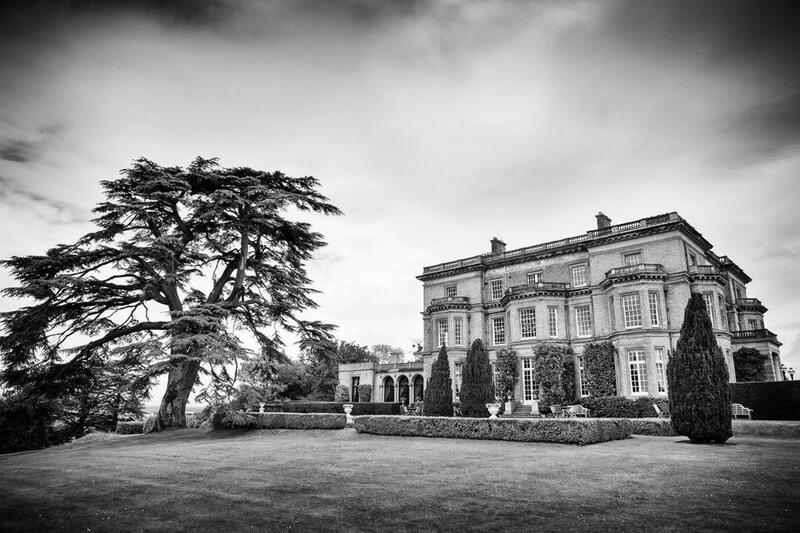 We had always hoped for an outdoor wedding, especially given the stunning gardens and view at Hedsor. But when it rained on our wedding day, the beautiful Centre Hall was the best plan B we could have hoped for, and the numerous spaces inside the house meant there was plenty of room for our guests to spread out and explore. 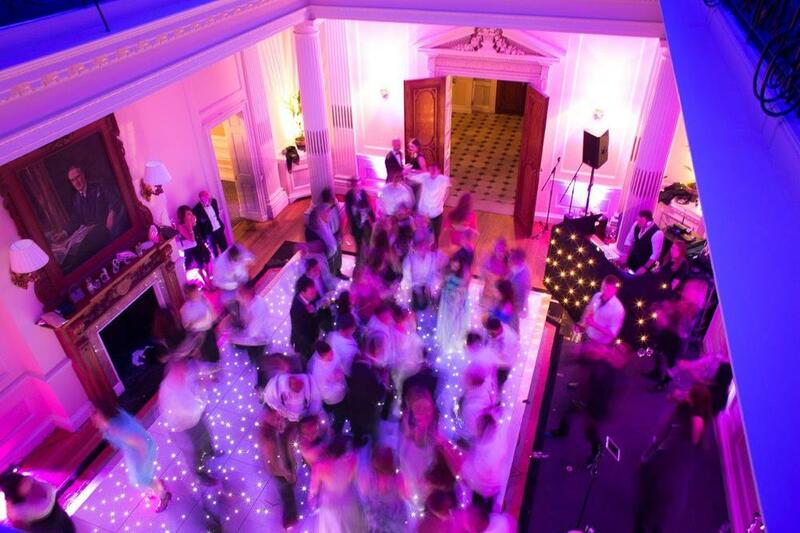 Choosing Hedsor was the best decision we made, and we have been showered with compliments about the venue ever since! 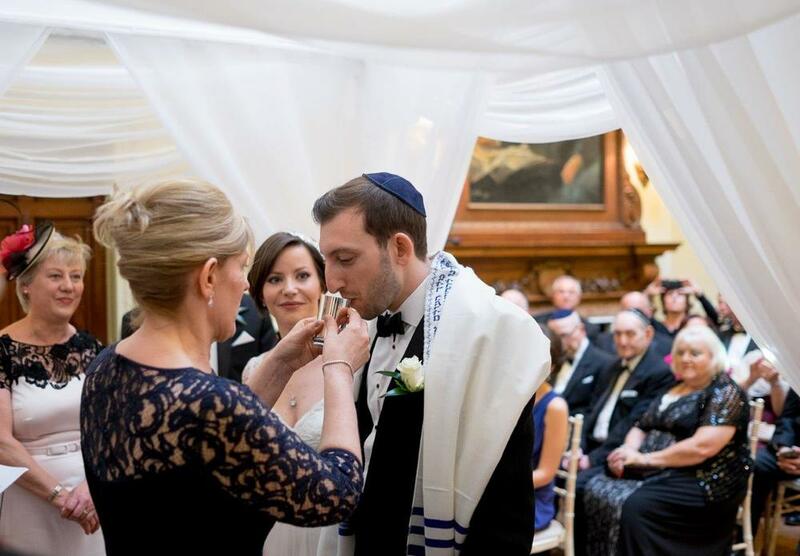 The Ceremony: We had a modern Jewish ceremony, updated with the help of our Rabbi to include lots of beautiful traditions that we personalised to make sure it reflected our values. Emily was sung down the aisle by a friend of ours, and our Rabbi brought along a guitar for added music, with a performance of our favourite song, alongside a reading of some of our favourite lyrics from other close friends. 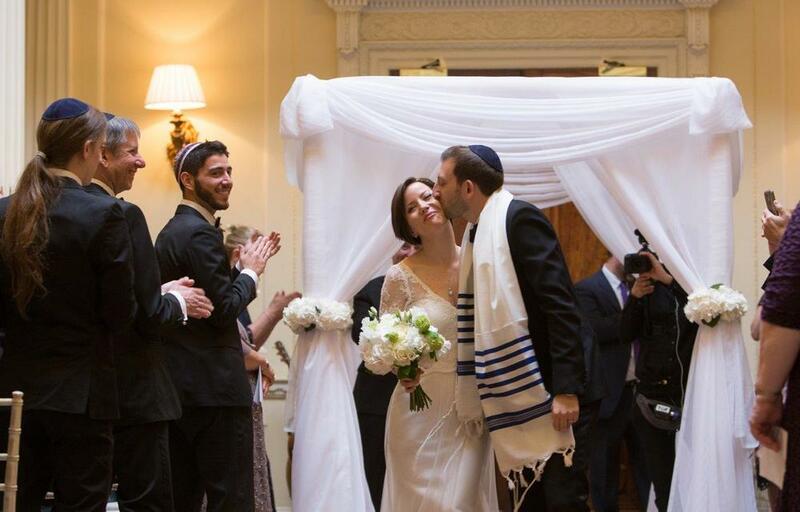 We chose a simple chuppah (Jewish wedding canopy) and were surrounded by our family and loved ones. As a twist on the traditional Jewish breaking of the glass, usually done only by the groom, Emily also stamped on a glass! Pick great suppliers. If you know you have the best people on the job, you’ll be able to relax on the day. The Food: Caper and Berry were incredible caterers, providing flawless event management on the day too. From the canapes, tweaked to suit our palates, to the bespoke fish-based three course menu and show-stopping ‘shots and pots’ we couldn’t have asked for more. The evening cocktails, flavoured popcorn, cheese board and salt beef sandwiches went down a treat and we’d recommend them to anyone! The Cake: Emily’s mum was keen to design the cake, and made hundreds of sugar hydrangeas which cascaded over layers of chocolate, vanilla and fruit cake. 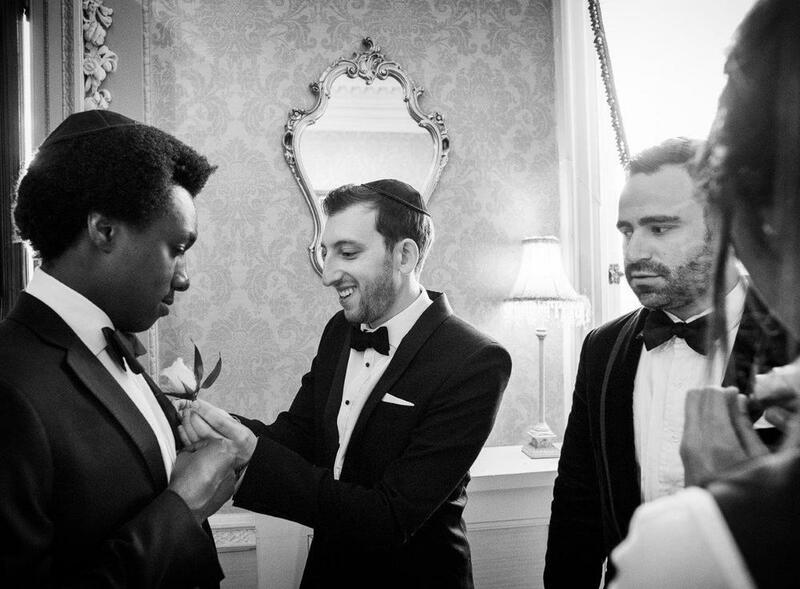 The Photographer: Simon Atkins ticked all our boxes, having photographed Jewish weddings and ceremonies at Hedsor. With a photojournalist style, we knew Simon would capture our day without us awkwardly posing. We hardly noticed he was there, and we were so pleased with the way he captured the emotion, atmosphere and love of the day. The Entertainment: We chose Totem as our band for the day - a brilliant decision! Musicians played during the ceremony, signing of the register, reception, dinner and several awesome sets in the evening! Daniel’s brother Michael performed our first dance - an amazing acoustic rendition of ‘500 Miles’ on guitar. We soon had everyone dancing with us! 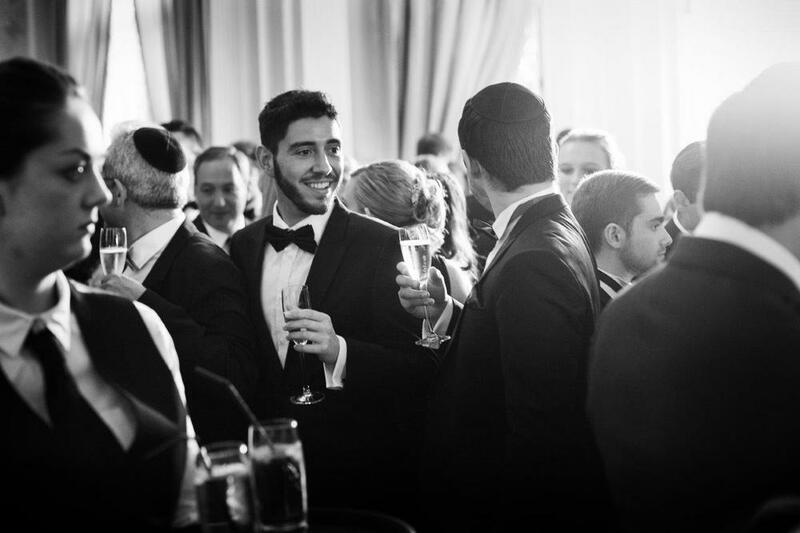 Our reception kicked off with some traditional Israeli dancing, which saw us thrown into the air on chairs, and huge circles of dancing with our friends and family! 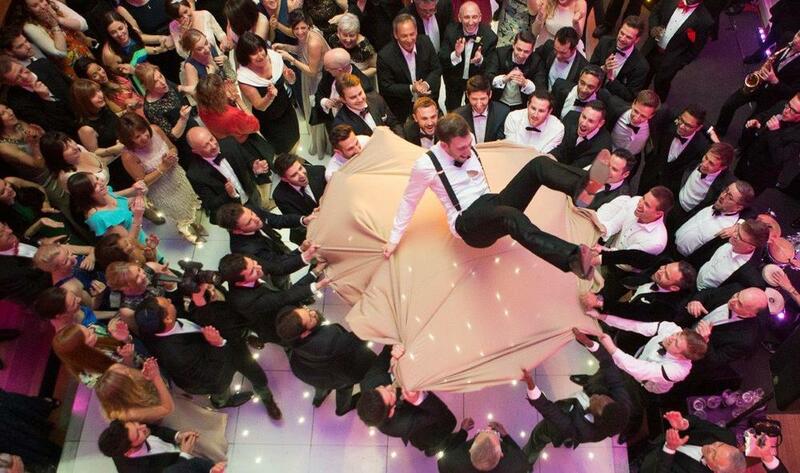 From then, three singers and a band plus live DJ kept the dance floor full all night. As well as some beautiful performances by friends during our ceremony, we decided to add in a few surprises for our guests! Immediately after cutting the cake, we both broke into song, soon joined by 25 of our singing friends in a flashmob song and dance routine we’d put together. Later in the evening Blueprint, Daniel’s boyband from his university years, re-formed for a short set - all of this we’d kept even from our parents! 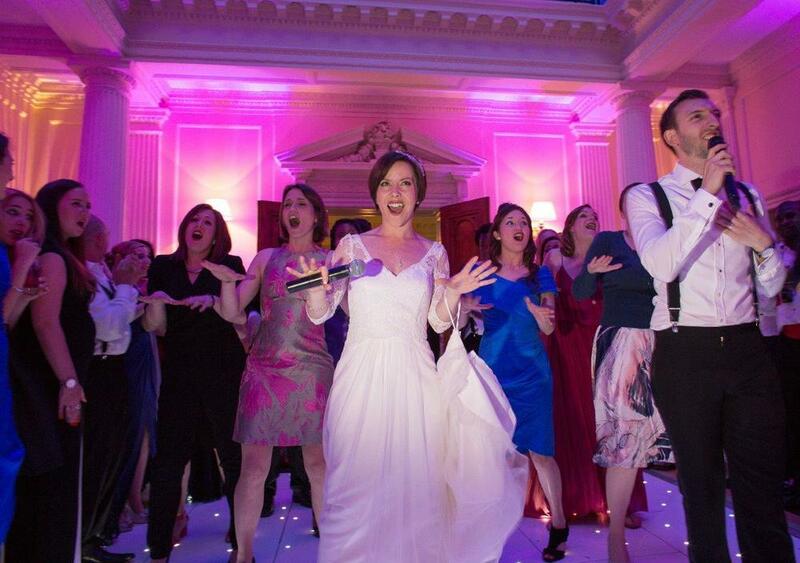 Singing ‘Love Me For a Reason’ with all our guests is something we’ll never forget! 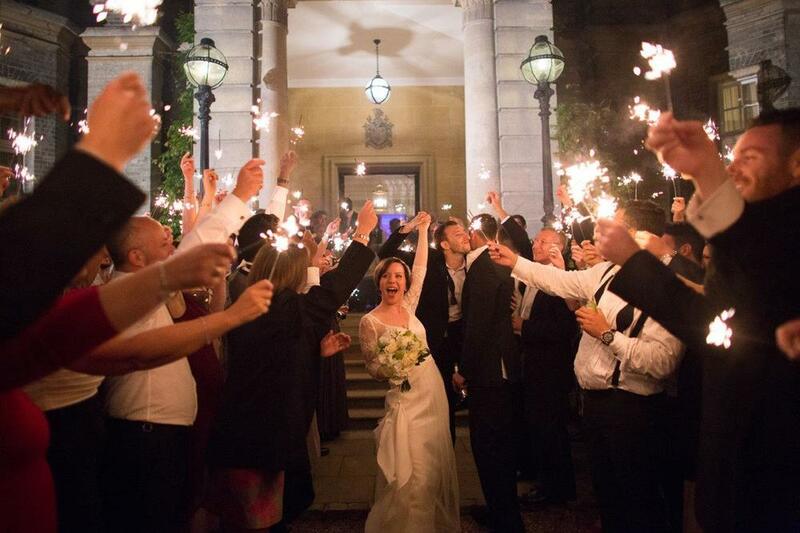 We ended the night with a sparkler exit, lit up by the faces of our nearest and dearest! 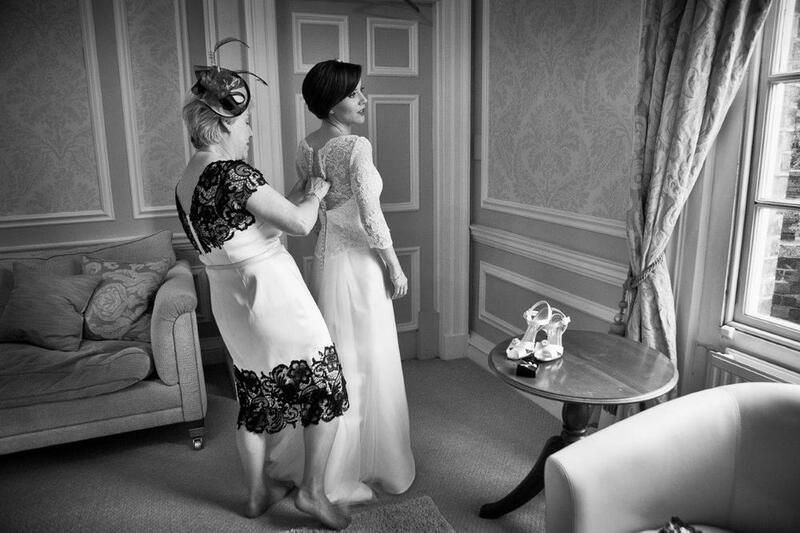 Huge thanks to Simon Atkins for permission to use a selection of photography from Emily & Dan's special day!